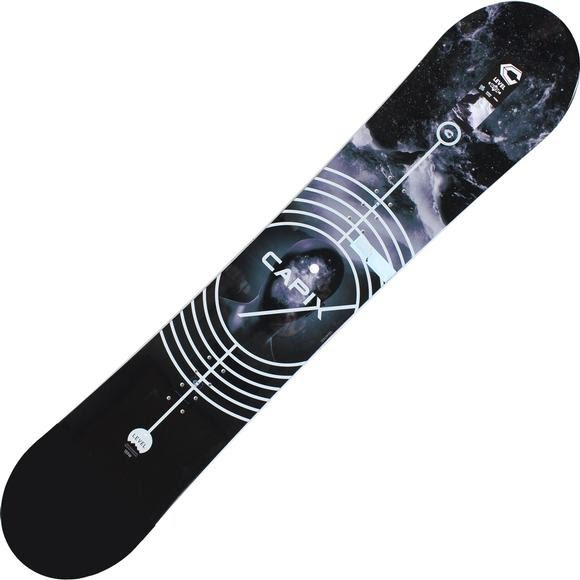 If you're looking for a board to conquer the entire mountain, while leaving some spare change in your wallet for a lift ticket, the Level is where it's at. Hit the slopes with the Level Snowboard from Capix featuring an All-Mountain directional shape and feel, constructed with 45° biax fiberglass and 20mm Bombproof Polar™ Core. If you&apos;re looking for a board to conquer the entire mountain, while leaving some spare change in your wallet for a lift ticket, the Level is where it&apos;s at. Hit the slopes with the Level Snowboard from Capix featuring an All-Mountain directional shape and feel, constructed with 45° biax fiberglass and 20mm Bombproof Polar™ Core. Equipped with some of our latest technology, it can take a good beating in the park and cut the pow in the backcountry.